Turtles are slow, so it would rather be a ” om nom nom” *turns away uninterested* nom …..
Like the kid on Malcom in the Middle in the wheelchair? Wow, aren’t you racist. Referring to a black man indirectly and possibly not at all! Omnon Repost. 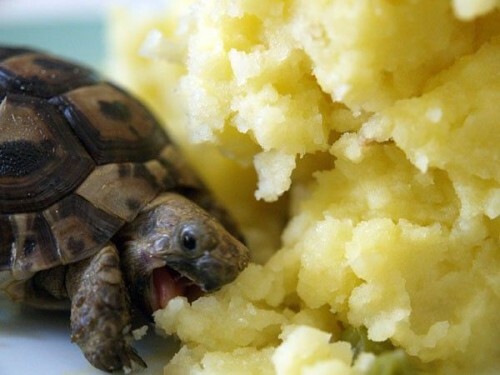 Still was my background for like 3 months though..
my wife makes BRILLIANT mashed taters. I’ll have to take them to the park & see what the turdles do to them.